Last term Oscar’s class were set a task to write a story of their choice. 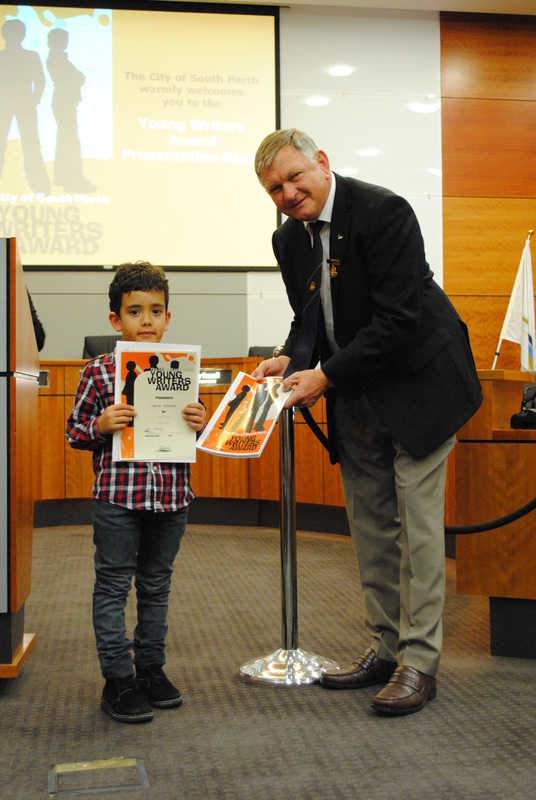 His wonderful teacher entered the class into the City of South Perth Young Writers Award. Two children from his class were chosen for an award. Oscar was one of them! Dave and I had no idea what his story was about but we were both every excited for him. We invited the grandparents to come along, Oscar’s teacher and the school librarian were also there to cheer him on. Once we arrived at the South Perth Council Chambers we realised that this event was a pretty big deal. There were lots of families and children from eight different schools in the area. There were thousands of entries and each story was judged by a panel. Prizes are awarded in six different age categories across primary and secondary schools. Oscar’s story was entered in the Year 1 category. There were 5 story’s that were short listed and Oscar’s was one of them. The Deputy Mayor presented the awards. 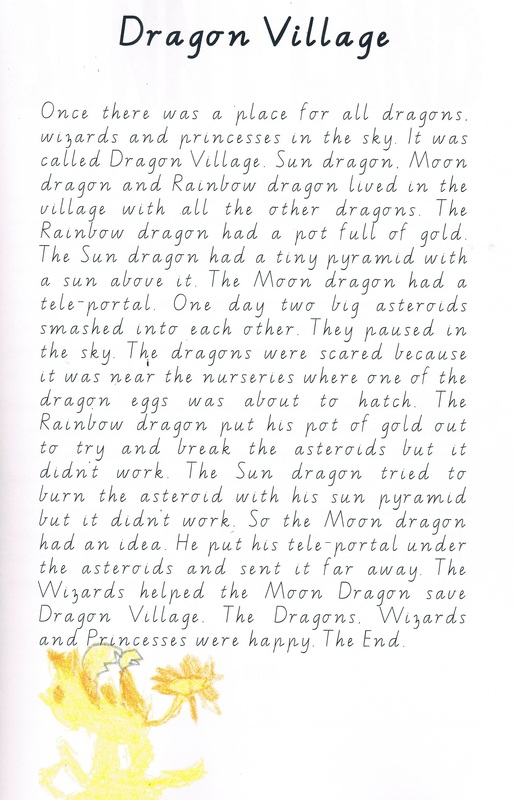 I am so pleased to say that my little man was awarded as the winner of this category for his story ‘The Dragon Village’. Wow, Dave and I were blown away. A very proud moment for both of us! We love you Oscar and we are so proud of you! Below is a copy of this story. Wow way to go Oscar and what a great story! Well done, Oscar, your story is absolutely stunning. Thanks for all your comments, I have read them to him. Oscar feels really special.